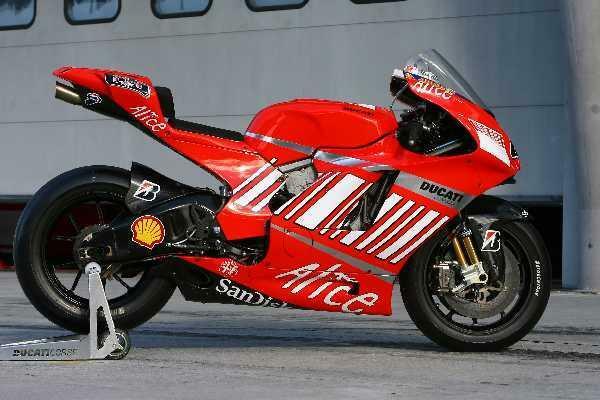 Loris Capirossi has denied persistent rumours that Ducati is on a knife-edge with the new fuel capacity regulations that come into force for the 2007 MotoGP world championships. As well as the capacity reduction from 990 to 800cc, the fuel limit was slashed from 22 to 21 litres. The reduction has meant fuel consumption has been one of the most critical areas that engineers have needed to work on, and paddock rumours have suggested that Ducati is struggling to complete a full race distance with the 21 litre tank. He said: “The reason I am not doing long runs is not because of the fuel consumption – that point is one of the best points for us. We don’t have a problem with that. “This is why the engine is a little bit aggressive because when you run it rich with low fuel it becomes aggressive. But we don’t have a problem.